← Can an Old Tiger Change His Stripes? Uh oh. A lot of ink has already been spilled on Anand’s opening choice here. It doesn’t take Kasparov to figure out though that this isn’t the ideal opening line versus Magnus. 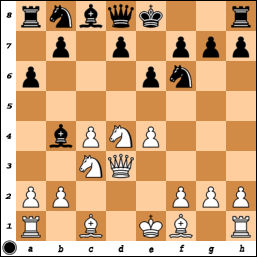 I’d have banked on the Taimanov (with 4…Nc6) instead of the Kan (with 4…a6) myself. But either way, the endgame after 7…Nc6 8.Nxc6 dxc6 9.Qxd8 is depressing. I wonder if after 7.Qd3 he thought about whether 7…Nc6 was really the right move. From what I can tell of the timestamps, he didn’t really think until 11…Bxc3+ (after 11.Bf4). It’s ridiculous to think the players prepare everything themselves – not only do they need seconds, but at some point, they need to trust their seconds. I’m sure he reviews the analysis, but even then, he can’t step through every variation and sub-variation and spend a lot of time on it. At some point, he has to be willing to play the position. If, as it seems, White scores pretty well after 7.Qd3 and his seconds tell him that 7…Nc6 is about equal, then that might just be all he can do. He’s at least shown that he won’t play into the Berlin as white this match, so he’s not being completely pigheaded about his opening choices. So it wasn’t the ideal opening choice, but as Black it’s not easy to find active, unbalanced, and approximately equal positions at every turn. And finally, what Magnus did with the trade on d8 followed by e5 and Bf4 looks like it was new (and might explain why Anand spent about 10 minutes after 11.Bf4). Most practical games featured 9.e5 (instead of 9.Qxd8), and Delchev had recently analyzed only 11.f4 instead of 11.Bf4 (and concluded that 11.f4 wasn’t too dangerous). There’s also been a lot of ink spilled about the mutual blunder on move 27. It’s bad for both that they missed it, and even worse for Anand because he lost the game, but the reality is that when you’re defending a position like that, it’s easy to miss a new tactical resource. He essentially deserved to lose this game for getting a pretty miserable position out of the opening against someone like Carlsen. With the Kan in the shop (what will we see tomorrow in Game 9?! ), Anand went back to the Berlin. I still don’t completely understand the fascination with the Berlin, as there are plenty of other viable Ruy Lopez lines out there. Everybody seems to be talking about Carlsen’s opening preparation in Game 8, but what about this one? 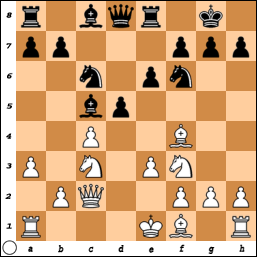 He almost never enters the Berlin endgame proper as White, and in this game, he goes down a well-trodden main line path that hasn’t led to anything before for White but finds some new resources to apply pressure down a pawn in the endgame. This seemed to be a really well played game from both sides, with Anand’s piece sacrifice setting him up for a long defense that he managed to hold. Playing on in the R + N versus R endgame might have irked Anand a bit, but these long games should help Magnus more, both psychologically in terms of stamping his authority on the proceedings and physically in terms of draining games now should mean Anand has less in the tank for his white games afterwards. A reputation once earned is hard to shake. Magnus almost certainly isn’t the hardest worker at the top, and he doesn’t show the typically deep preparation that many of his peers do, but it’s an outdated notion that he doesn’t prepare much or that his preparation is bad – it’s just different. As someone who plays the QGD from both sides, I’ve looked at the 6…c5 line a good amount. And I had looked at this 9…Re8 move at some point in the past, but I didn’t look at 10.Bg5 Be7. Given that he was essentially blitzing until move 21 (21…b4), when it became very clear that the game would be drawn, there shouldn’t really be much doubt about his opening work. As I think Svidler said during the game, belittling his opening knowledge was somewhat false a couple years ago, and it’s quite false now. 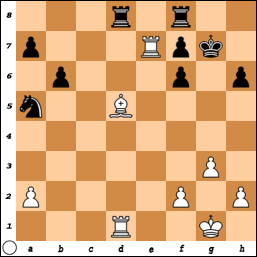 These last 3 games to me show that in full effect – prepared against the Kan (something Anand never really plays and Magnus never plays into), prepared with another new idea against the Berlin, and then prepared in a long-studied position of the QGD as black. With a point advantage and the opening tide slowly turning Magnus’s way, I think Anand will need to both liven things up against as Black (not quite a burn your bridges opening, but not the Berlin either) and exert whatever pressure he can to provide a better opportunity for Magnus to crack. Clearly in Game 6 there was the chance, but it was incidental and he can’t hope to escape a clearly worse position with something like that again. Maybe the Taimanov or the Archangel now (the Archangel does allow a bunch of forced draws, but a quick draw as Black might not be terrible here down only 1), but I fear that he’ll go back to the Kan actually. For Magnus’s part, assuming he’s still up 1 after tomorrow, I’d expect a return to the QID but with 4…Bb7 in Game 10 as Black.